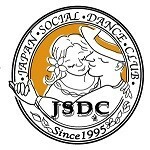 Event Calendar - Japan Social Dance Club (JSDC) is a professional dance studio specializing in American Style Social Dance. We plan a lot of events for all-levels of experience & non-experience! Many Demonstrations and staff shows!